Chocolate Drops came Runner Up for Best Tourism and Hospitality Business at the Wanneroo Business Awards 2015, sponsored by Ertech Holdings. We were also a finalist in Customer Service Excellence sponsored by Kingsway City. 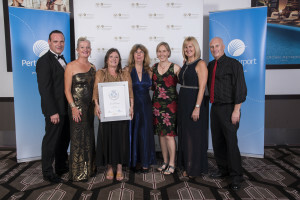 The awards night was a fantastic night and a credit to the Wanneroo Business Association.